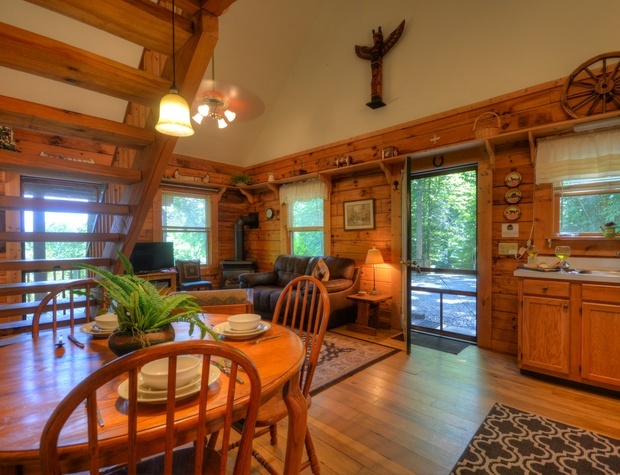 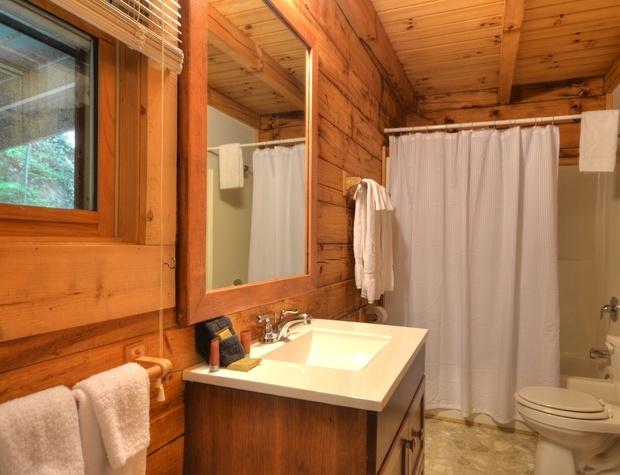 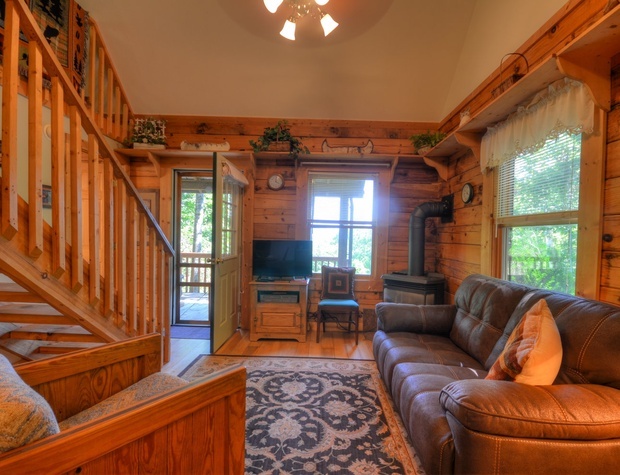 Serenity Cabin is a cozy log cabin nestled into a quiet wooded area. 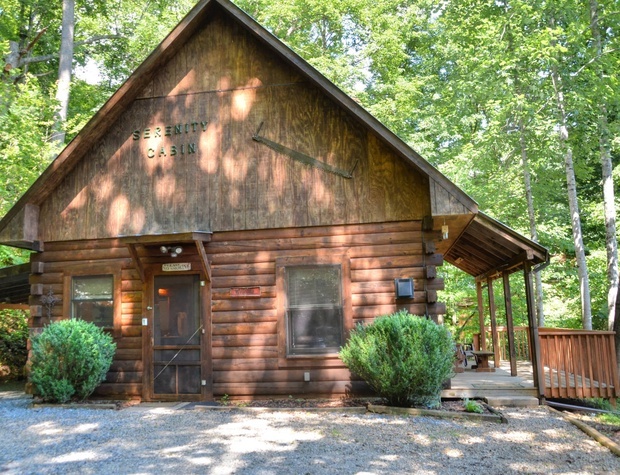 The area around the cabin provides a great place for your furry friends to explore while you enjoy the refreshing mountain air. 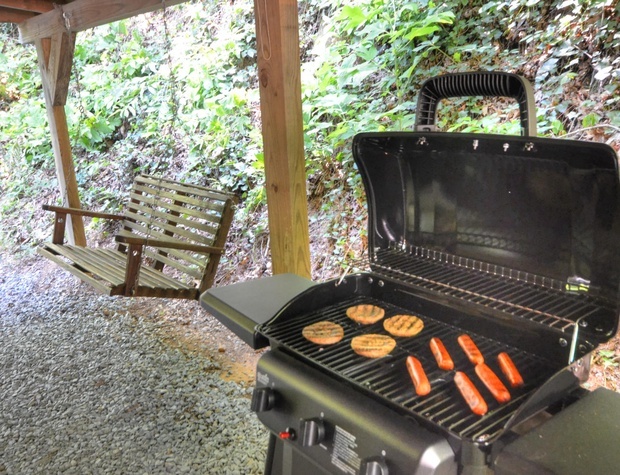 The covered parking area features a gas grill for evenings of grilling juicy steaks, burgers or your very own catch-of-the-day. 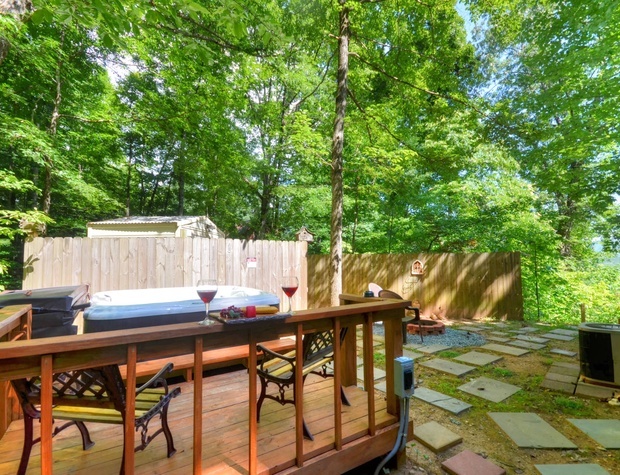 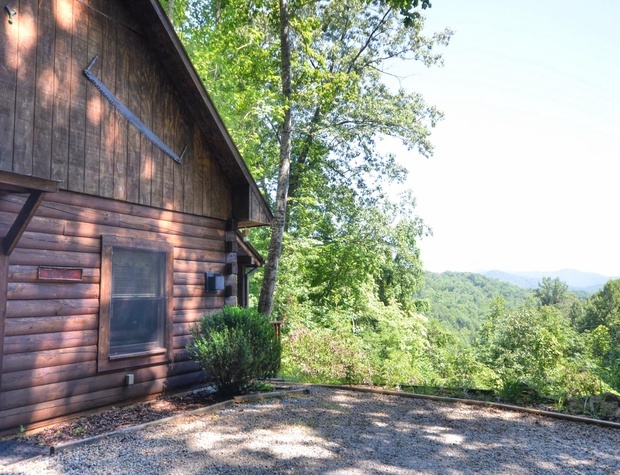 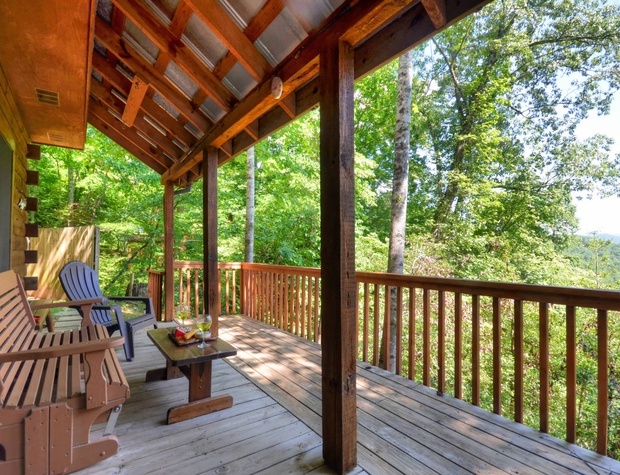 Outside, there is a large deck along the side of the cabin from which you can relax and enjoy the mountain view. 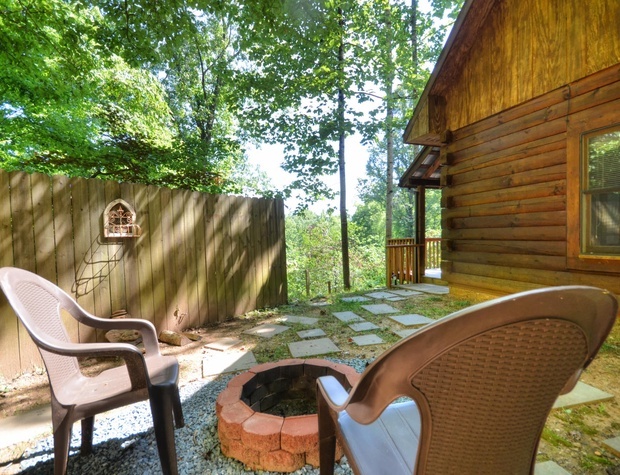 Behind the cabin, you will find a very private area featuring the fire pit, a special place for making memories and s’mores, and the hot tub. 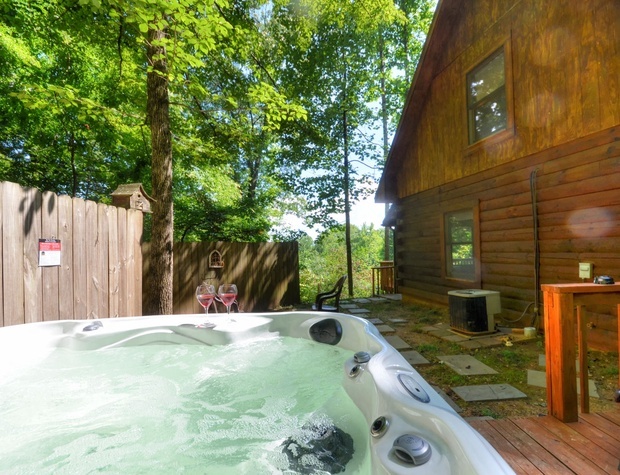 Just think of sinking down in the warm bubbly water and relaxing all your worries away. 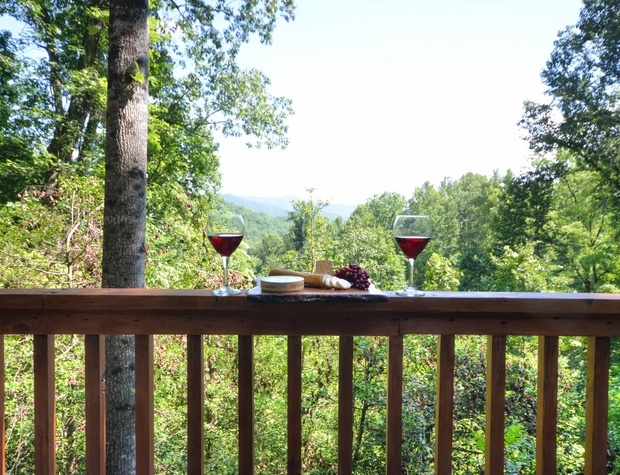 This is the perfect place to continue a romantic evening with a glass or two of wine. 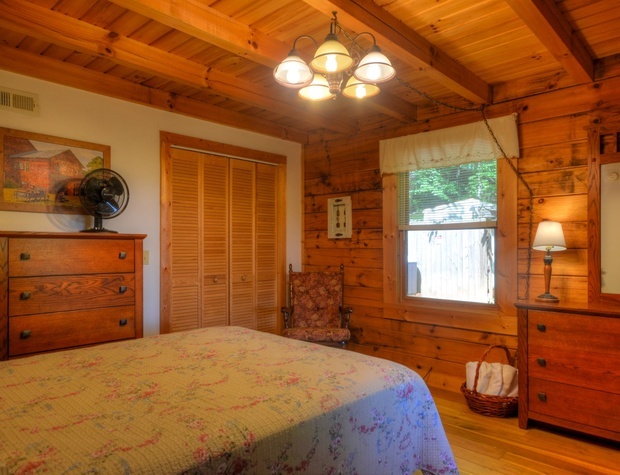 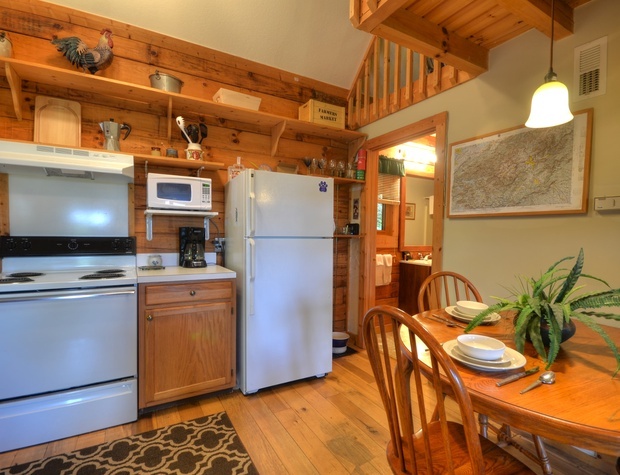 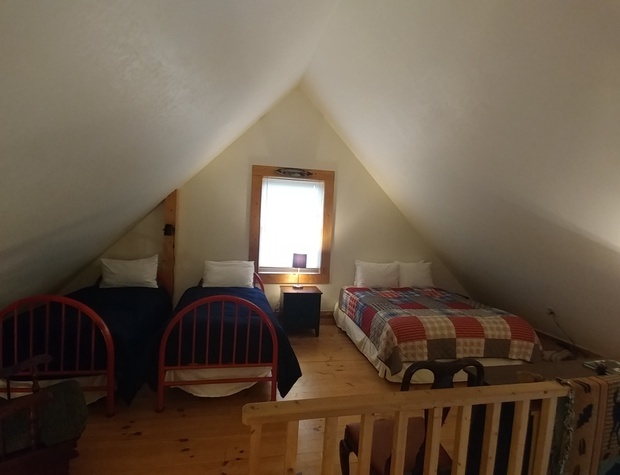 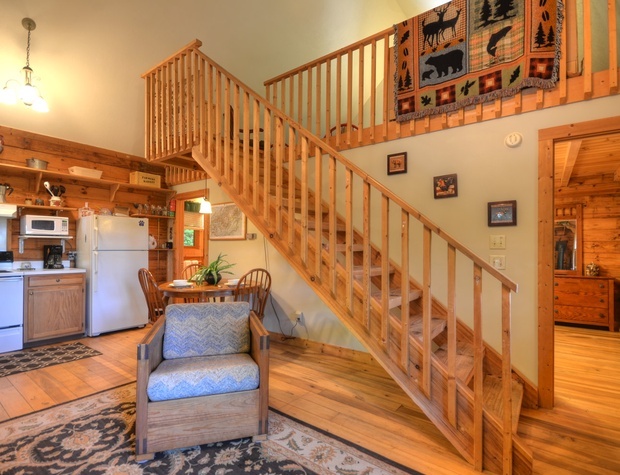 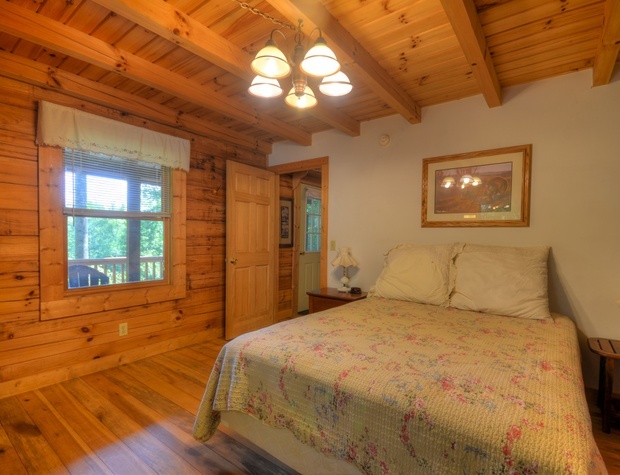 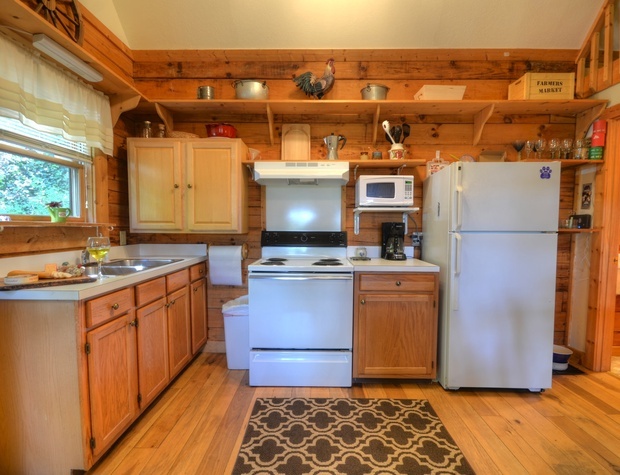 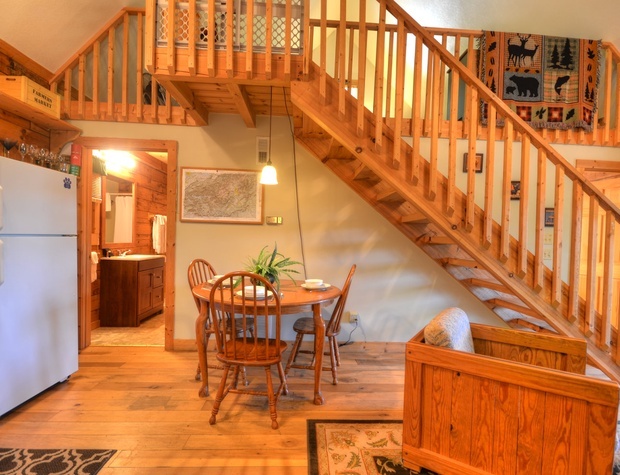 Inside the cabin, you will find one Queen bedroom featuring a memory foam mattress topper, one full bathroom, a fully equipped kitchen (no dishwasher), and an open loft featuring another Queen bed and two Twin beds for additional sleeping. 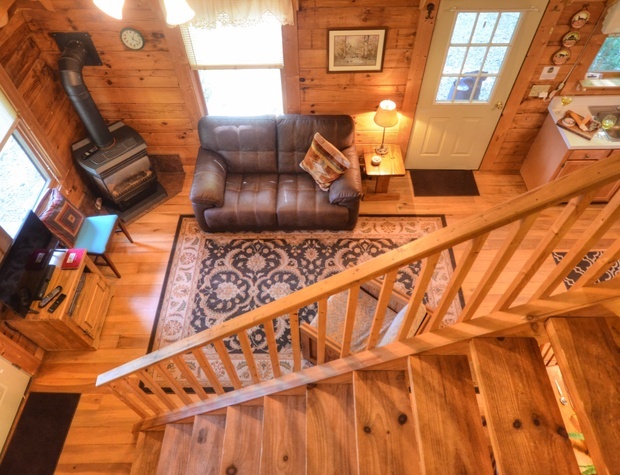 The living room features a Smart TV with satellite service provided by Dish Network, and a gas powered “wood stove”. 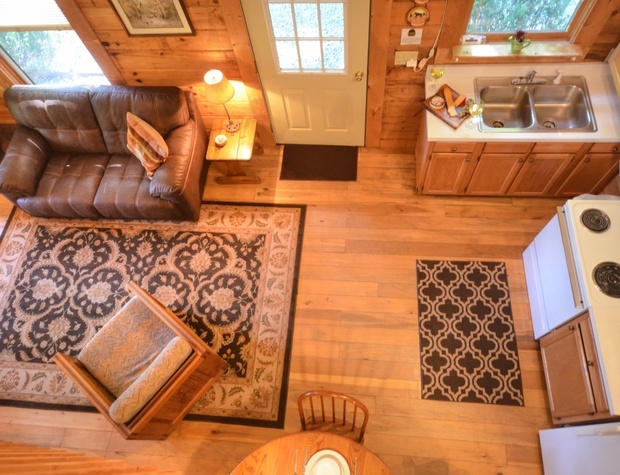 No matter where you are in the cabin, you can connect to the included WiFi at no additional charge.